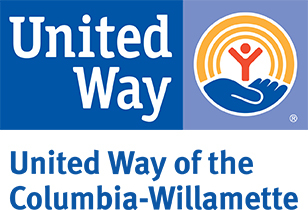 We offer young people who are unstably housed in Washington County a place to eat a hot meal, take a shower, watch a movie, be listened to, and get resources. We have drop in three times a week from 6-8pm on Mondays, Wednesdays, and Thursdays at three different locations in Washington County. Mondays we are at 332 NE 6th Ave in Hillsboro. Wednesdays we are at 1841 Southwest Merlo Dr in Beaverton. Thursdays we are at 494 E Main St in Hillsboro. We rely heavily on volunteers and donations. Volunteer groups put together the dinners for drop in. Other volunteer opportunities include becoming a core volunteer and building relationships with youth as well as helping with child care, helping with organizing donations, and other various needs. We are always seeking donated items such as bottled water, granola bars, jerky, hygiene items, and bus tickets.